Share the post "Album review: LUNDEN REIGN – American Stranger"
OK, let’s get the name out of the way first. It’s pretty naff. And unimaginative. Isn’t it about time that this purposeful phonetic misspelling malarkey faded into obscurity? It may be my 11+/grammar school education, but it drives me nuts. Anyway rant over. Usually such deliberate vandalism of the English language masks an equally puerile release. Not so with American Stranger – a ‘big beat progressive rock’ concept album conceived and delivered by core Lunden Reign members guitarist/ composer Lora G and vocalist Nikki Lunden. The PR blurb would have you believe their music ‘pushes the envelope’. I think not, but it is a ‘hood down’ radio friendly slice of rock that could only emanate from Los Angeles. Big guitars, big choruses and great vocals, it may be clichéd in the eyes of some, but it’s a volume up, windows down, good time album. There’s plenty of reference points for those who like their rock delivered as only our cousins across the water can – Sheryl Crow , Stevie Nicks, and Pat Benatar but laced with the punk attitude of 1980s ‘Strip’ cruisers like Vixen and Lita Ford. 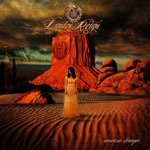 This entry was posted in ALBUM REVIEWS, ALBUM REVIEWS (Mobile), All Posts and tagged album, American Stranger, AOR, hard rock, Lora G, Lunden Reign, melodic rock, Nikki Lunden, review. Bookmark the permalink.